Do you love decorating for the holidays? Each year I add a few more handmade ornaments to my Christmas tree. 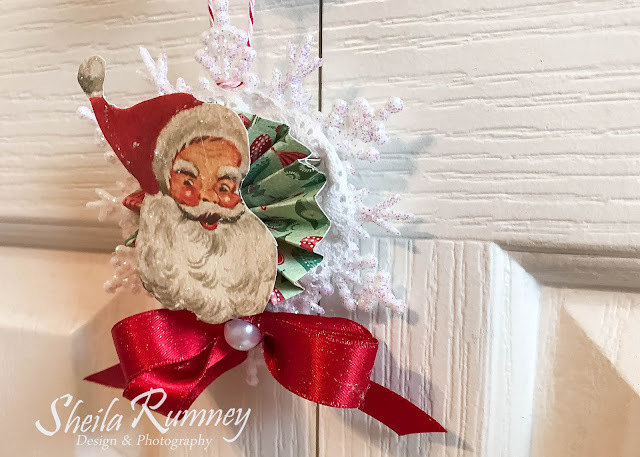 I created this whimsical and easy Santa snowflake ornament using the beautiful Really Reasonable Ribbon October Christmas Assortment. I combine gathered the white lace from the assortment, adhering it to the snowflake. Next I created a bow and glued a white flat back pearl to the center. Then I added a hanger with the Cherry Baker's Twine. 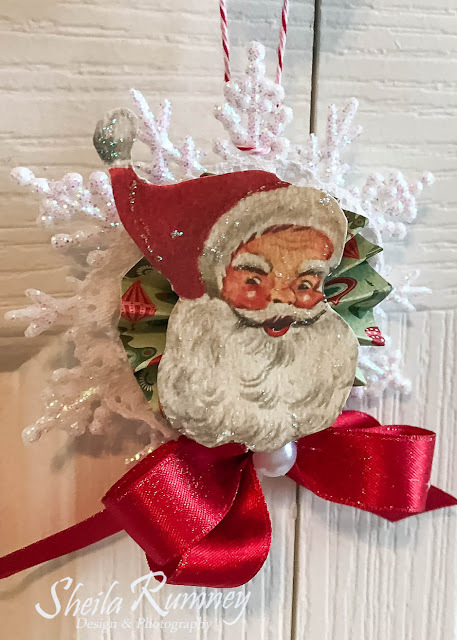 This ornament was so easy and quick to make that it would make a cute tag for gifts. Just add the "To" and "From" to the back of the ornament and adhere it to the gift box or bag. Then the recipient will have a cute present topper that they can hang on their tree.